This elegant Sgian Dubh quartz movement Pocket Watch can enhance the look of any kilt outfit, or dress attire. 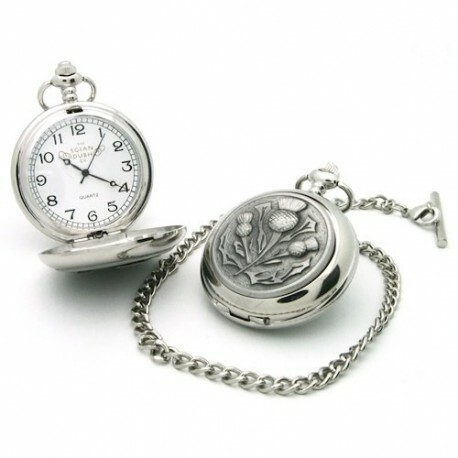 This elegant Sgian Dubh quartz movement Pocket Watch can enhance the look of any kilt outfit, or dress attire. 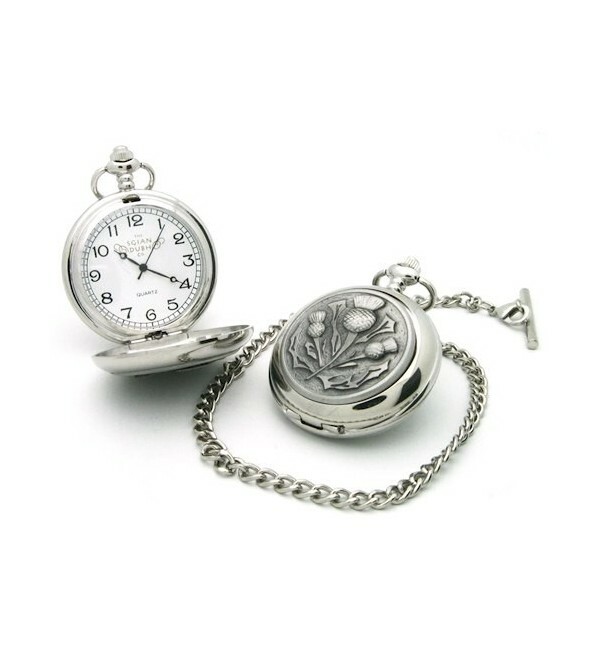 Each pocket watch is complete with a chain and comes in a presentation box. This watch has a Scottish Thistle Design emblem on the front of it and opens on one side to display the time. Battery operated. Made in the UK.